Comedic elements enter these features made with the transvestite community of 1970s St-Germain-des-pres. Arrietta's film is compelling, informative, entertaining and beautiful. Its subject it the Paris transvestite scene and it's depicted with the flair of Jack Smith, the directness of Andy Warhol, and the special tenderness of Arrietta. I salute the Poet. - Jonas Mekas, Movie Journal Tam Tam shows desire and repression through the subversion of archetypes both social (ambassadors, stars, artists) and sexual (homophiles, transvestites, transsexuals), and converting these into a most accurate account of a certain kind of unease: an identity crisis. [...] Arrietta proposes a dazzling vision of these micro- universes as seen from within, from the very place of their oppression: an admirable example of cinema-verite confirmed by the tireless search for new levels of expression. - Raphael Bassan, Cinema Different This film is a musicalk comedy, or maybe a fairy tale ... everything sits on the surface like in the paintings of the Primitive School, or in dreams, or in musical comedies ... The story is a pretext for a series of portraits, and the series is a pretext for an invented story in an invented city (Paris), a city of transvestites trying to relive thrie festivities and art of the Belle Epoque. 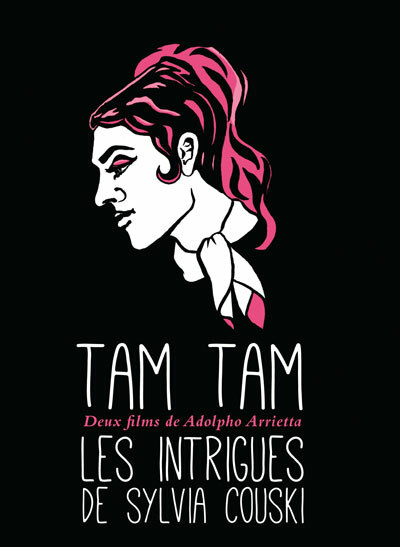 - Adolpho Arrietta This DVD contains: LES INTRIGUES DE SILVIA COUSKI, 1974, 71 min TAM TAM, 1976, 57 min All rights of the producer and of the owner of the work are reserved. Unless authorized by the rights holder, no duplication, hiring, lending or public screenings are allowed. For institutional purchase please contact Re:Voir directly. Comedic elements enter these features made with the transvestite community of 1970s St-Germain-des-pres. Arrietta's film is compelling, informative, entertaining and beautiful. Its subject it the Paris transvestite scene and it's depicted with the flair of Jack Smith, the directness of Andy Warhol, and the special tenderness of Arrietta. I salute the Poet. - Jonas Mekas, Movie Journal Tam Tam shows desire and repression through the subversion of archetypes both social (ambassadors, stars, artists) and sexual (homophiles, transvestites, transsexuals), and converting these into a most accurate account of a certain kind of unease: an identity crisis. [...] Arrietta proposes a dazzling vision of these micro- universes as seen from within, from the very place of their oppression: an admirable example of cinema-verite confirmed by the tireless search for new levels of expression. - Raphael Bassan, Cinema Different This film is a musicalk comedy, or maybe a fairy tale ... everything sits on the surface like in the paintings of the Primitive School, or in dreams, or in musical comedies ... The story is a pretext for a series of portraits, and the series is a pretext for an invented story in an invented city (Paris), a city of transvestites trying to relive thrie festivities and art of the Belle Epoque. - Adolpho Arrietta This DVD contains: LES INTRIGUES DE SILVIA COUSKI, 1974, 71 min TAM TAM, 1976, 57 min All rights of the producer and of the owner of the work are reserved. Unless authorized by the rights holder, no duplication, hiring, lending or public screenings are allowed. For institutional purchase please contact Re:Voir directly. 22 page bilingual English-French booklet with texts by Scott Hammen and Phillipe Fauvel.